Jesus came to heal and to save; that was his mission and his purpose. At that time, the people largely accepted Jesus’ healing ministry, but not so much his saving ministry. Today, it is the opposite, with his followers accepting his saving ministry, but not so much his healing ministry. The religious elite are aghast at Jesus’ audacity. Then to prove his authority to forgive sins, Jesus also heals the man—who then gets up and walks home. 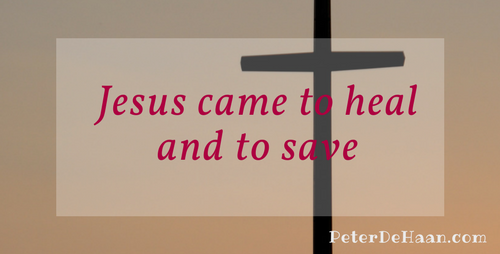 Yes, Jesus came to heal and to save. He did it then; he does it today.